Google Custom Search Engines (CSEs) is a powerful Sourcing tool, that can improve your Sourcing process with new results, often faster than "regular" Google. Creator. Creating CSEs is not rocket science! They have numerous advantages. You can create CSEs that would "hide" Boolean operators, such as site:, from the end user (saving time on retyping), search within a list of sites, and, importantly, use CSE search options unavailable in "regular" Google. For example, you can set a CSE to "search the entire web but emphasize included sites" - it is like "Soft" X-Ray. Master. 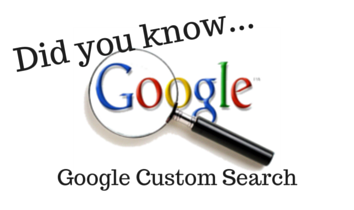 Unknowingly to many, CSEs have additional search operators compared to "regular" Google. These operators allow finding not just web pages with the keyword occurrences but pages where a particular term is in a person's company or job title, for example. Learning how to identify and use the special operators takes a bit of a learning curve, but it is well worth it.